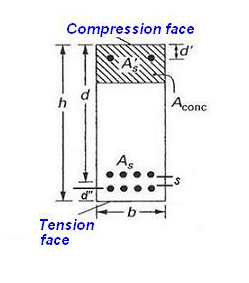 Shear force and bending moment are very important structural parameters to be calculated. 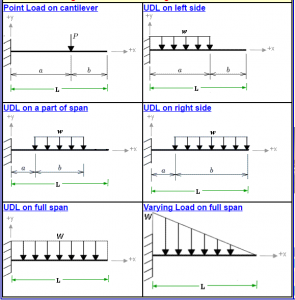 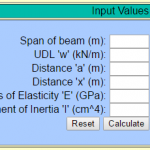 Free Online calculator for shear force and bending moment of cantilever beam is presented here. 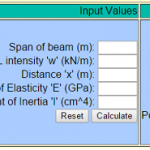 This calculator can be used for determining shear force and bending moment at any point of cantilever. 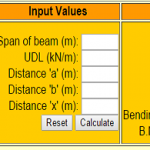 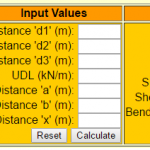 It also calculates the maximum value of bending moment. 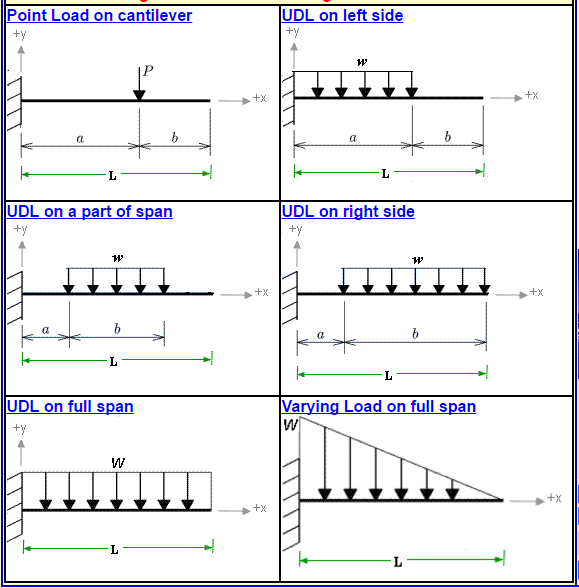 At present it has 6 different loading cases of point load, Uniformly distributed load and uniformly varying loads.